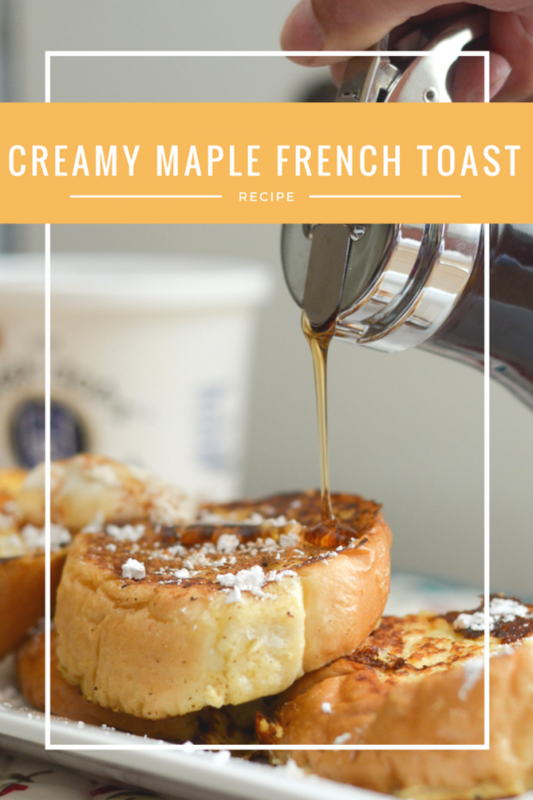 The perfect way to get your morning started is with this Creamy Maple French Toast. I’m sharing this recipe in partnership with Greek Gods Yogurt, all thoughts and opinions are my own. Are you as anxious for fall as I am? My kids are just starting school, which means fall is just around the corner. 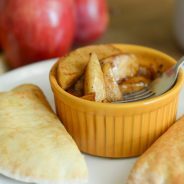 When that time comes, suddenly everything I make centers around maple, apples, cinnamon, and pumpkin. Seriously, I live for fall, and I wish it was year round. 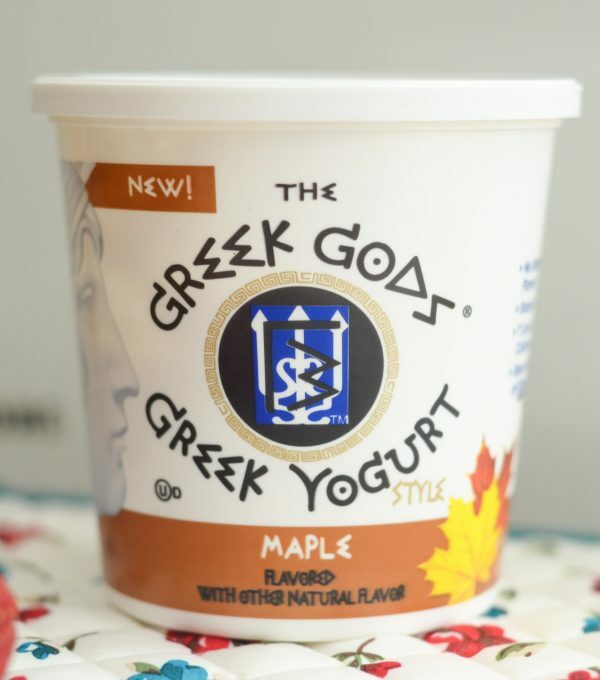 Now, thanks to Greek Gods Yogurt, I can enjoy those flavors year round with their newest product, Maple Greek-Style Yogurt. 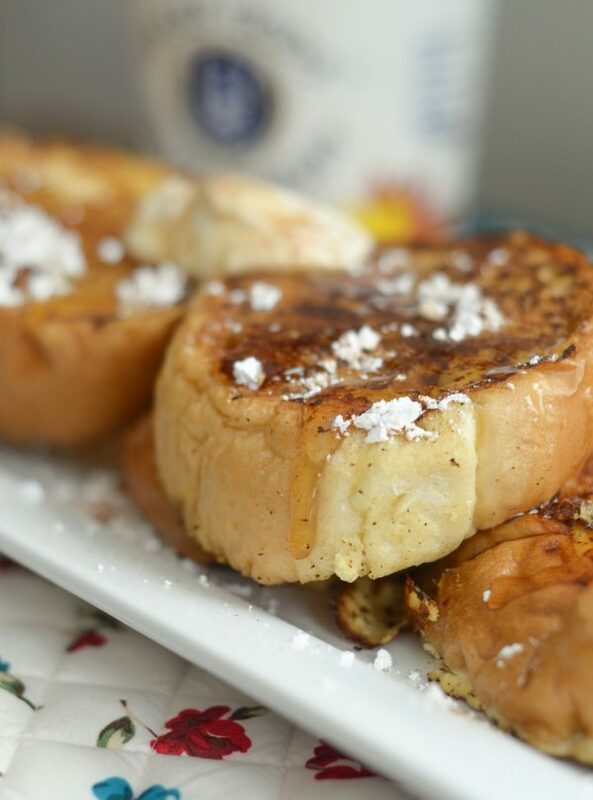 I decided to use it in this Creamy Maple French Toast. 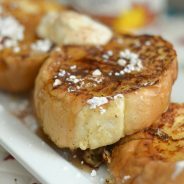 Once I started my cooking journey, I quickly realized that all those years that we had French toast with white sandwich bread, we were doing it all wrong. 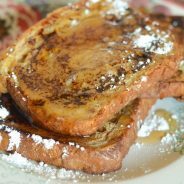 Wonderful restaurant-style French toast can be done at home by simply using the right bread. There are a few you can use, but I prefer a nice loaf of French bread that I can slice into thick slices. It’s best to use bread that is about a day or two old as well so that it can really hold in the custard style liquid. 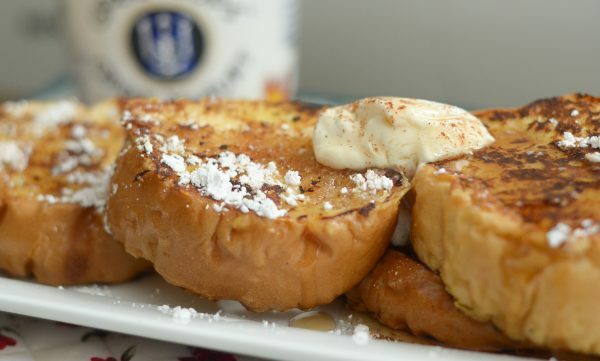 The wonderful thing about Creamy Maple French Toast is that you can prepare it the night before, let it soak up that custard, then cook it in the morning. It’s perfect for prepping ahead, because you can make it the night before. We used the Maple Flavor Greek Yogurt by Greek Gods. 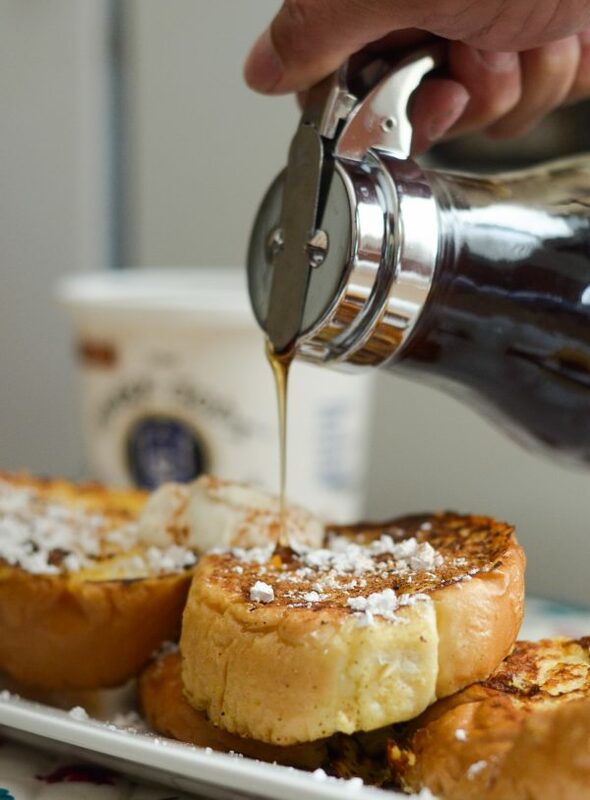 The key to this toast is the Maple Greek Gods Yogurt, which is where the flavor and custard will come from to soak the bread in. Once it’s cooked, I like to top ours with another dollop of yogurt, cinnamon, and powdered sugar. This will seriously melt in your mouth. It’s also a great breakfast to use for breakfast in bed. Can you imagine the wonderful smell in the air too and knowing that it’s going to be delivered right to you bed? Sounds like a dream, doesn’t it? 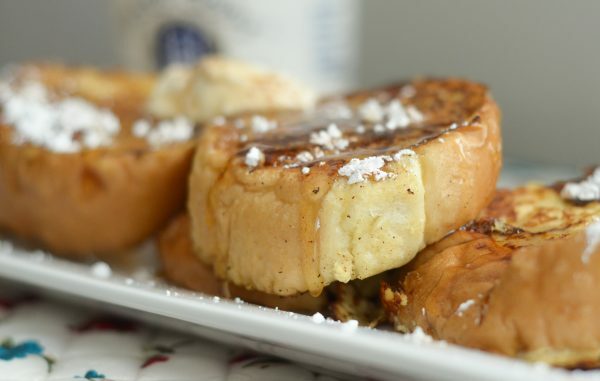 As you plan our your menu for the week, I highly suggest that you put this recipe on your breakfast menu. 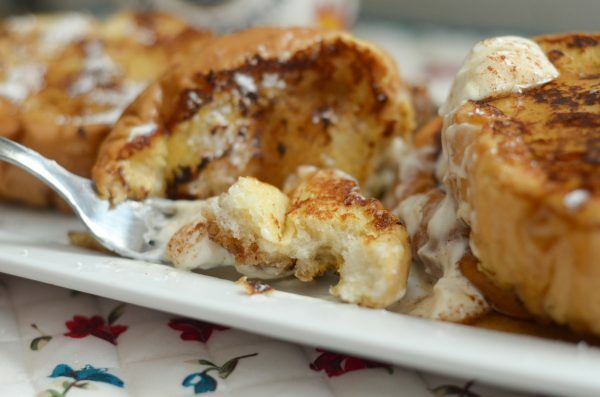 I am certain you will fall in love with this delicious Creamy Maple French Toast. Use the bread when it's at least a day old, slice it into thick slices about 1 1/2 inches thick and place in a baking dish that can hold liquid.